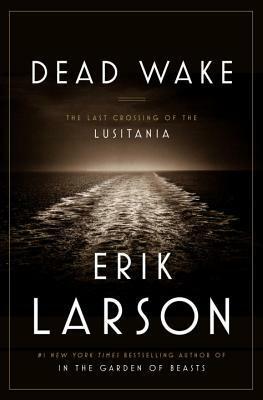 Erik Larson has researched and collected together everything you need to know about the Lusitania in a single volume. It covers Captain Turner and his life, Kapitänleutnant Schwieger and how he destroyed the largest moving ship, and the government's angles on the whole affair as well. You can read about the passengers, the crew, the impact on Woodrow Wilson's presidency, and the big secrets the British Admiralty kept in Room 40. The tragedy of the great sinking is striking, considering the amount of lives lost, and what it meant for World War I. It's a part of history we should read about it, contemplate, and share with others. I was greatly impacted with Larson's writing about the Lusitania, and am now compelled to read more of his books.